With Real Estate sales in a slump, there's no better way to boost sales than with signs. We can provide signs starting at 6” X 24” on corrugated plastic, up to 4’ X 8’ billboard type signs. Our smallest option is 6” X 24” on corrugated plastic. It is the right size for an arrow or 1 to 2 lines of text. They come with a metal stand for easy installation. Our stands are made of weather resistant and rustproof steel. Size is 10” X 30” and made of 9 gauge wire. Heaver stands are available. 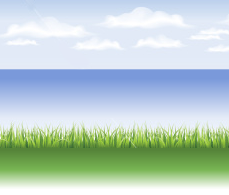 We can also register a domain name for you and redirect it to the MLS listing for the property. 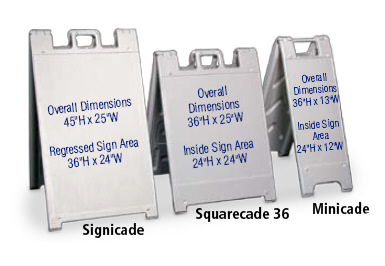 We stock ¾ angle iron powder coated sign frames for a 24” X 18” insert and 1 bottom rider and can get several other sizes and combinations of inserts and riders. 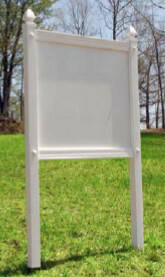 These are perfect for signs at a home or commercial location. 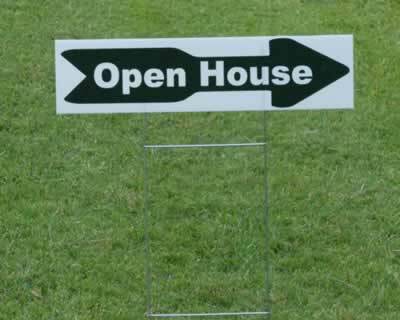 We also stock plastic sidewalk signs that are more portable and perfect at an open house where the sign is only in place for the day or a couple of days. If you need a larger sign, we can provide billboard type signs up to 4' X 8’. These come with 4" X 4' post with top caps and Alumacor panels. There are many options to choose from with this type of sign.